Need some cheering up in the middle of the week? 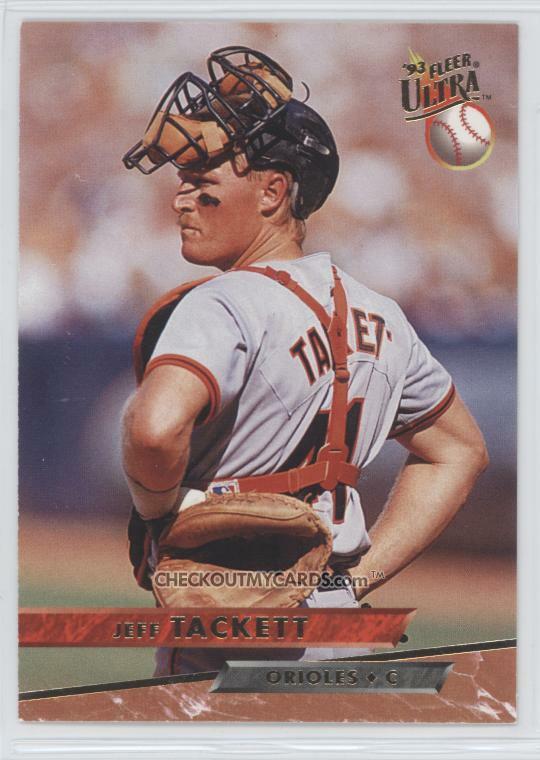 Head on over to YouTube and check out former Orioles catcher Jeff Tackett (1991-1994), seen previously in such movies as “Dave” and “Bob Roberts,” doing a karaoke version of The Romantics’ “What I Like About You” at an Orioles Fantasy Camp. Unfortunately, embedding is disabled, so you’ll have to follow the link. But it’s worth it. What other baseball player can lay claim to having homered in his final at-bat, appeared in two movies, and karaoked like it was his job? Jeff Tackett. Yeah, he’s one of ours.